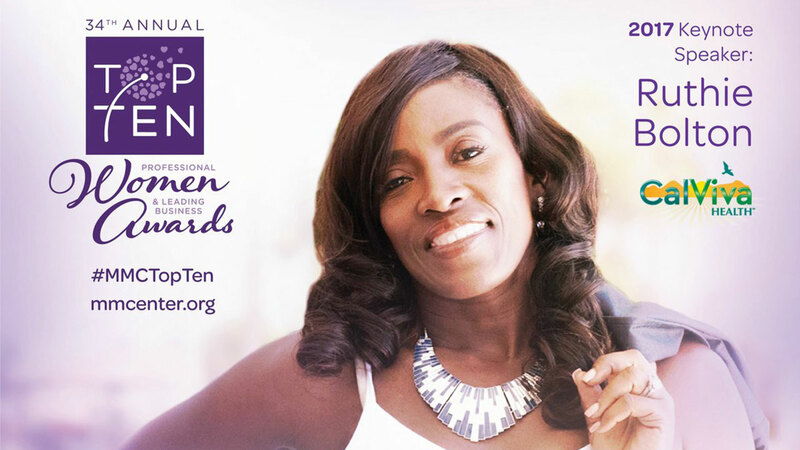 The 34th Annual Top Ten Professional Women and Leading Business Awards will be held Friday, October 13, 2017 at 11AM. The awards ceremony at the Fresno Convention Center honors local professionals and will bring approximately 1,000 attendees together. It will also be a time to raise awareness of domestic violence. October is Domestic Violence Awareness Month. 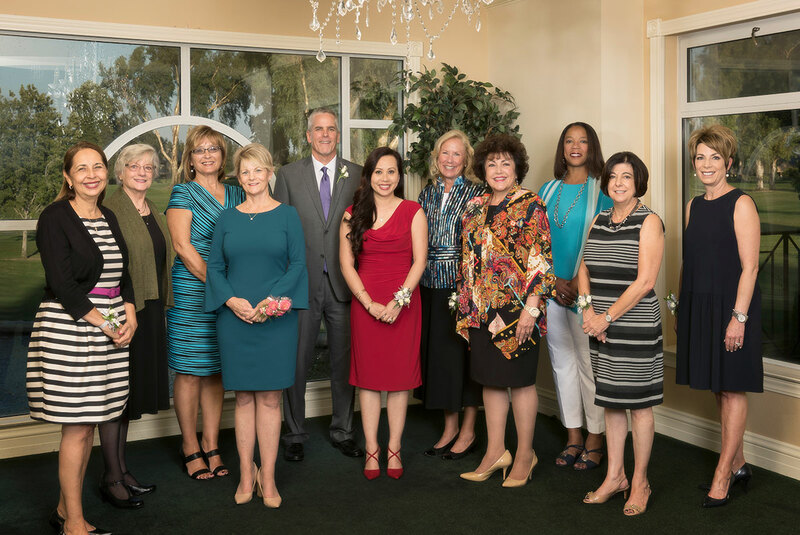 This event pays tribute to ten women who have served as role models and given back to their communities, all while making strides in their professions. One business is also honored as the Leading Business of the Year for its support of women and women's issues. Action News anchors Margot Kim and Graciela Moreno will emcee the event. 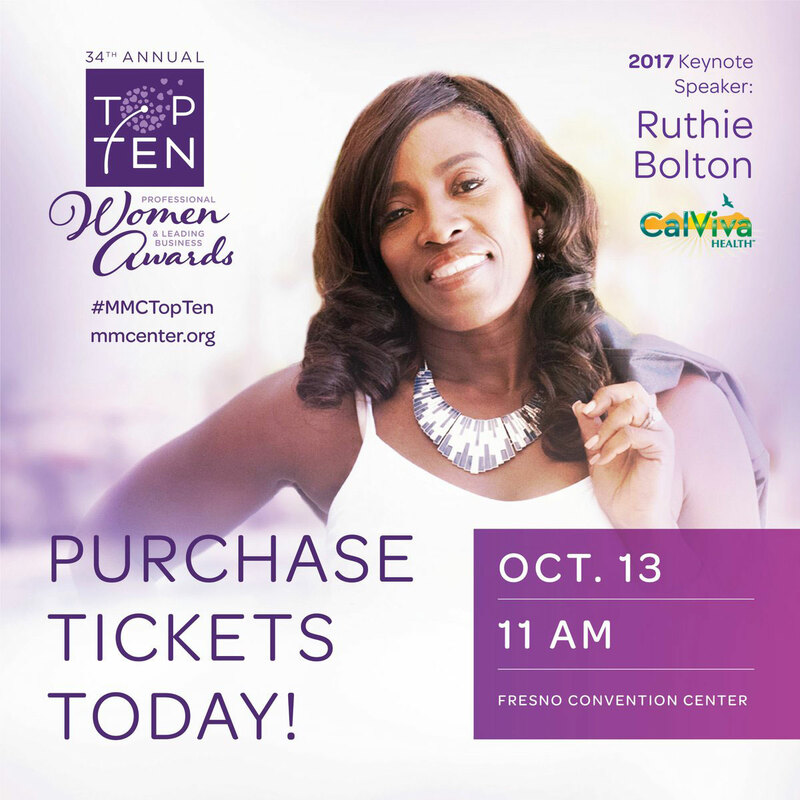 The keynote speaker is 2-time Olympic Gold Medalist and former WNBA Sacramento Monarch player, "Mighty" Ruthie Bolton. Ruthie's personal experience with domestic violence was told in an ESPN documentary last year and has propelled her into the spotlight as an advocate against domestic violence. Ruthie hopes that by sharing her story, it will make others feel empowered to turn their pain into power. Front row: Dr. Katherine Flores, Linda Gleason, Diane Phakonekham, Catherine Lumsden-Dvorak and Karen Musson. Marjaree Mason Center was founded in 1979 after the 1978 murder of Marjaree Mason. Had she lived, she would have been 75 years old this year. Marjaree Mason Center's 120 bed Fresno safe house is the largest stand-alone safe house in California.